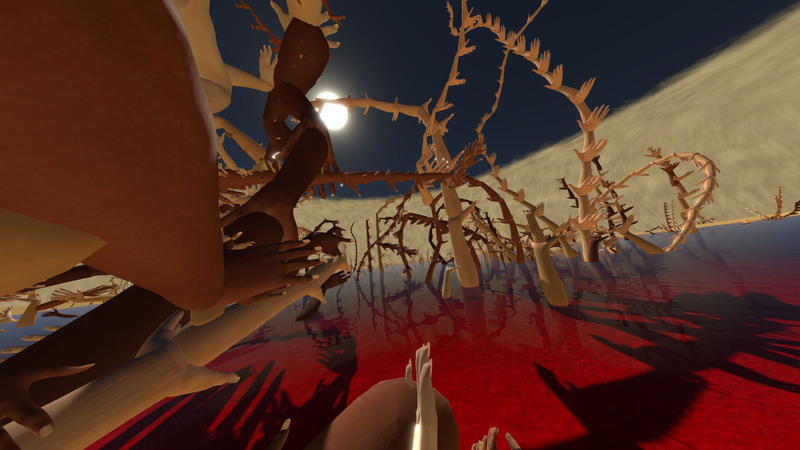 HanaHana 花華 is an artistic VR experience by the contemporary artist Mélodie Mousset. 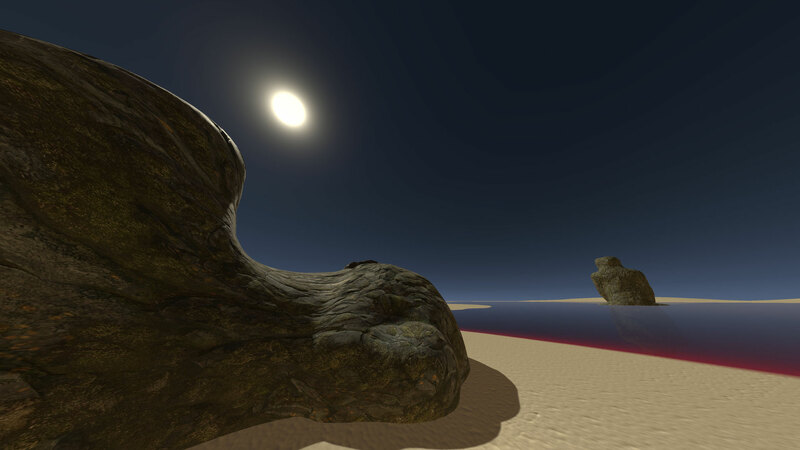 An early prototype developed together with VR engineer Naëm Baron was finished early 2017. 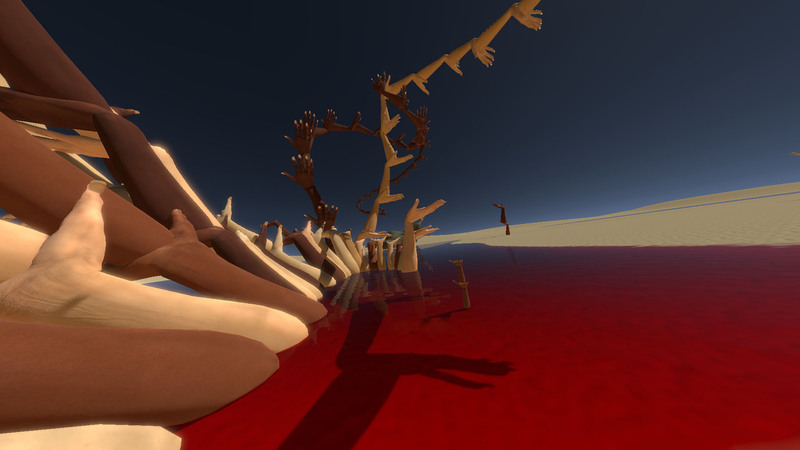 Imagine if Minecraft & Tilt brush met in a Salvador Dali painting. Thanks to the simple mechanic and the eery soundscape, the immersion is instantaneous: You are the first person player in HanaHana 花華. You are the life-force in a the surreal sandbox, where Body forms in stone, torus and internal worlds eeking a bloodlike pond: The psychogeographic plateau of Self. Embodied in a cloud of molecules, you are granted the ability to teleport and to create. 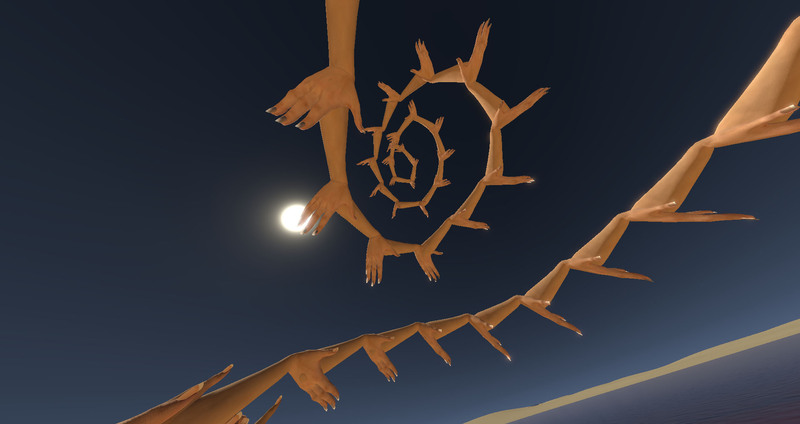 With teleport you can explore everywhere, with create you can grow… hands, chain of hands and everything you can think of from this root component. 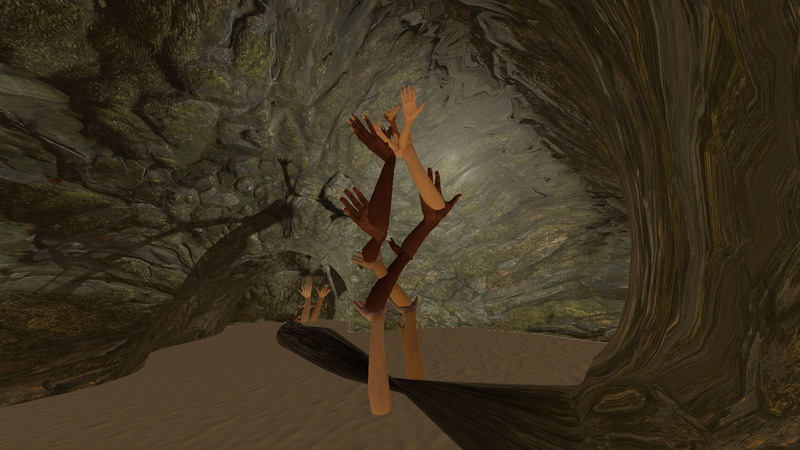 Take part to a unique collaborative art piece where virtual reality merges with the unconscious for an harrowing and thrilling journey into the depths of your mind, body and senses. HanaHana 花華 takes its name and inspiration from the manga “One Piece” in which the character Nico Robin has the power to infinitely sprout and replicate her own body parts on any visible surfaces thanks the magic of the Hana Hana no Mi devil fruit. The VR game grants the player with the powers of Nico Robin to experience for themselves the excitement, the awe, the fear, emerging with the multiplication of our physical body in the digital space. Created in 2017 HanaHana 花華 is an outgrowth of Mélodie’s ongoing exploration of the liminal space between technology and self. Mélodie Mousset (*1981 in Abu Dhabi) is a french artist based in Zurich, Switzerland. Oscillating between virtual and physical realms Mélodie’s work focus on the physicality of the human body and the potential virtuality of the mind. Her investigations develop through numerous mediums, including: performance, video, installation, photography, sculptures and interactive media. 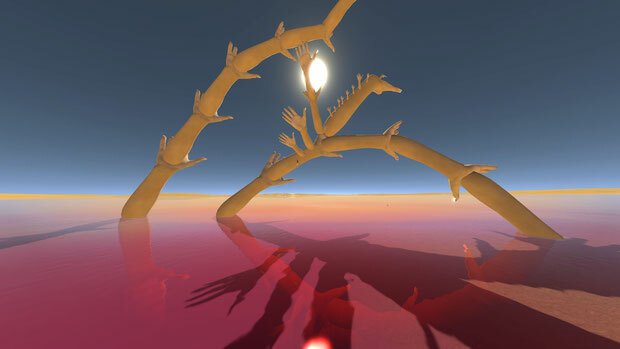 She received the Swiss art award for her first VR installation “We were looking for ourselves in each other” in 2015 and her work is regularly exhibited internationally. Mélodie is a regular visiting professor at ECAL, Switzerland since 2015. She has studied at EBAR (FR), ECAL (CH), RCA (UK) and completed her Master of Fine Arts at CALARTS (USA) in 2012. Naëm discovered Virtual Reality in 2006 to become an expert in this field, since then he worked on scientific research, videogames and art. Driven by his passion for the imbrication between human and computer, in 2010, he got a MSC in computer science with a specialization in VR. After a first professional experience working in the industry, he joined the University of Geneva to setup the VR laboratory as a technical manager. He took part in multiple research projects on affective sciences, psychology and neurosciences. In 2015, he worked on Mélodie’s first VR artistic experience, laureate of the“Swiss Arts Awards 2015”. This new interest for art leads to a new collaboration in 2016, HanaHana 花華.